Skil-Care Air Lock Seat Cushion 19" x 19"
The Power Scooter Armrest Bag is convenient bag that fits right over your power scooter or wheelchair's armrest. The top of the bag provides additional padding where your arm would rest making it feel like nothing is there. 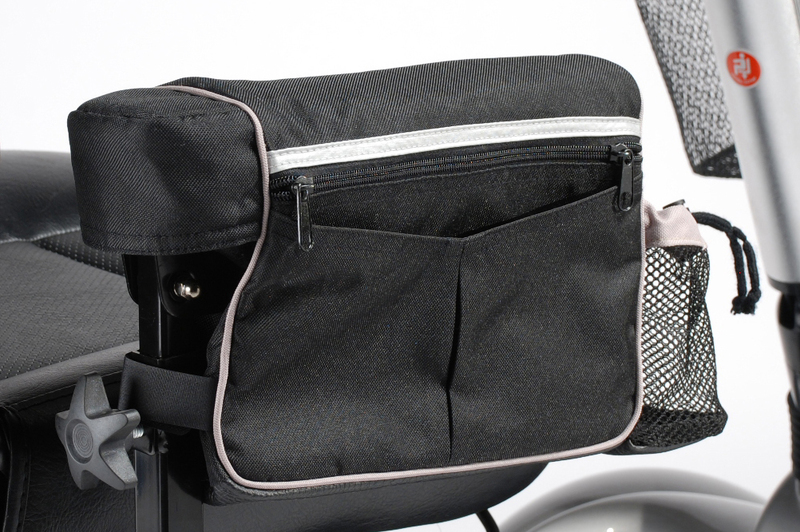 This four-pocket Power Scooter Armrest Bag is made of a durable easy-to-clean nylon so you know it will last.